CeCe's Story . . . Original: “CeCe loves people and wants to be with them all the time." 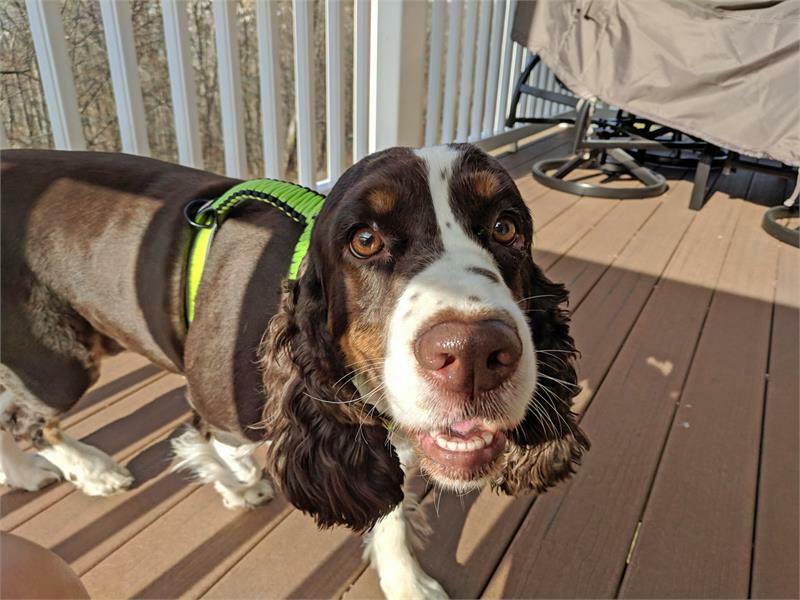 CeCe was relinquished to MAESSR when her Pennsylvania owner had to make an unexpected move and was not able to find housing that allowed her to have her dog. MAESSR was happy to help with such a sweet Springer girl. 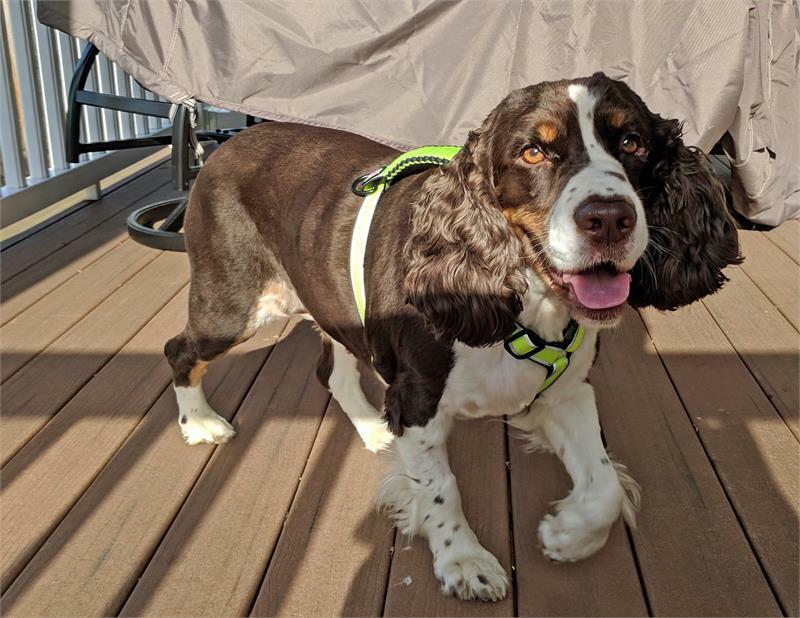 CeCe was initially very shy, but with the help of some anxiety meds, she started adjusting quickly to life in her foster home. Her foster home has many foster and resident dogs in it and CeCe is good with them all. 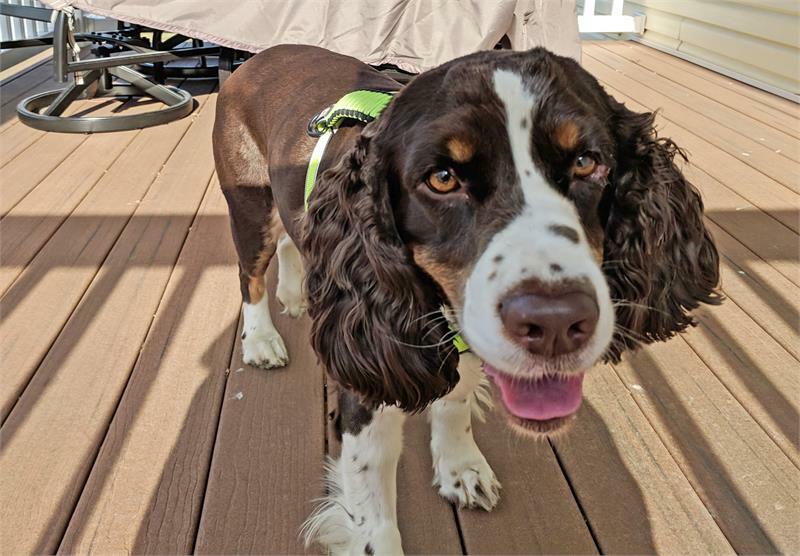 Although she is housetrained and has good house manners, CeCe had not really received any obedience training so she will need a patient home to teach all the tricks of being a good Springer. She initially was not comfortable with riding in the car but is adjusting with every trip. When CeCe went for her vet appointment, it was obvious that her left eye was a bit painful. The vet saw that her eyelid was rolling inward so the hair was scratching the eye. This was corrected surgically when she was spayed. 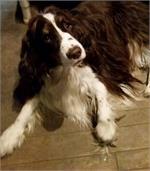 CeCe came to her foster home with a number of medical conditions that have been corrected by veterinary care. She successfully received treatment for Lyme disease, anaplasma, a urinary tract infection, and worms. Now CeCe is the picture of good health! CeCe loves people and wants to be with them all the time. This beauty will definitely have her choice of companions to hang out with.